Lot #1: C.F. Martin & Co. 000-18 Acoustic Guitar. Lot #5: Guild Model D66NT Acoustic Guitar. Lot #6: C.F. Martin & Co. 0-16NY Acoustic Guitar. Lot #10: Recording King Acoustic Guitar. Lot #17: Gibson Model ES-335TD Electric Guitar. Lot #19: Hofner Violin Bass Guitar. 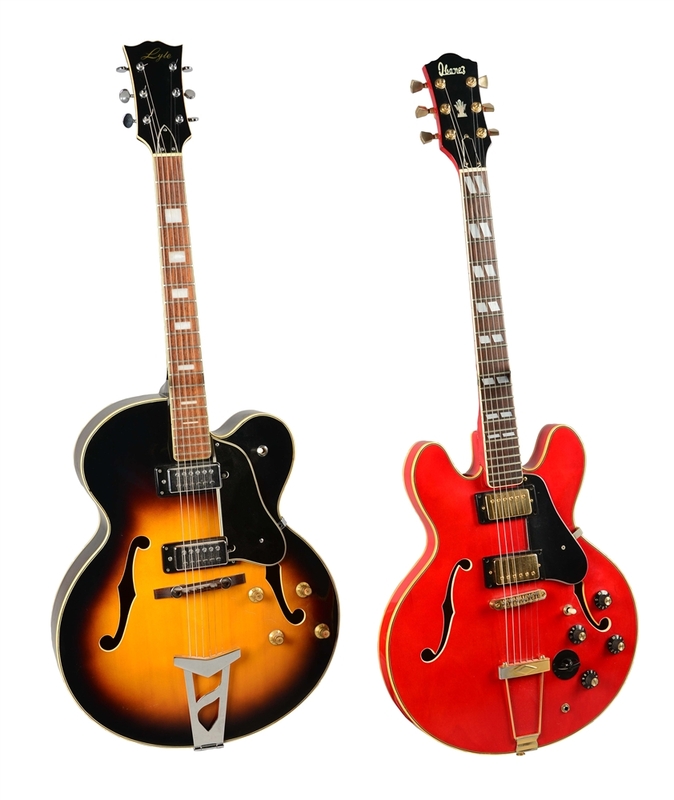 Lot #22: Gibson ES-125TC Electric Guitar. Lot #24: Gibson Les Paul Custom Electric Guitar. Lot #25: Red Gibson Electric Guitar. Lot #27: G & L Asat Bass Guitar. Lot #28: Gibson Standard Explorer Electric Guitar. Lot #29: Ovation Breadwinner Electric Guitar. Lot #30: Epiphone Limited Edition John Lennon E230TD Casino Electric Guitar. Lot #31: Fender Stratocaster Electric Guitar. 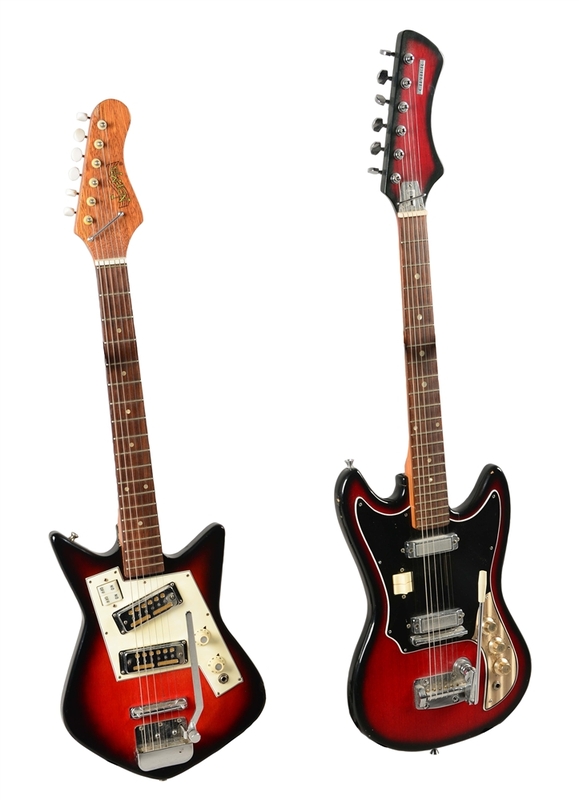 Lot #33: Teisco Del Rey ET 460/K4L Electric Guitar. Lot #39: 6-String Electric Guitar. Lot #41: Washburn Cumberland J-28SC Acoustic Guitar. Lot #47: C.F. Martin & Co. 00-17 Acoustic Guitar. Lot #48: C.F. Martin & Co. DM Mahogany Dreadnought Acoustic Guitar. Lot #49: C.F. Martin & Co. Deluxe Vegavox IV Banjo With Case. Lot #51: Epiphone Emperor Joe Pass Electric Guitar. Lot #52: Fender MusicMaster Bass Guitar. Lot #53: Vox Wildcat Electro-Acoustic Guitar. Lot #57: Gibson ES-135 Electric Guitar. Lot #58: 1975 Fender Telecaster Electric Guitar. Lot #61: Gibson Model ES-345 Guitar. Lot #63: Rickenbacker Model 4001 Bass Guitar. Lot #65: Fender Stratocaster Olympic White Electric Guitar. Lot #71: Gibson ES-140 Acoustic Electric Parlor Guitar. Lot #74: Gibson Les Paul Quilt Top Electric Guitar. Lot #76: Fender Deluxe Series Stratocaster Electric Guitar. Lot #77: Airline Double Cutaway Electric Guitar. Lot #82: Gibson L-48 Archtop Acoustic Guitar. Lot #91: Gibson ES-125T Hollow-Body Electric Guitar. Lot #92: Fender Precision Bass Guitar. Lot #94: Gibson Les Paul Custom Electric Guitar. Lot #95: Gibson Stereo ES-345TD Electric Guitar. Lot #96: Gibson ES-355 Electric Guitar. Lot #99: Lot Of 2: Electric Guitars. 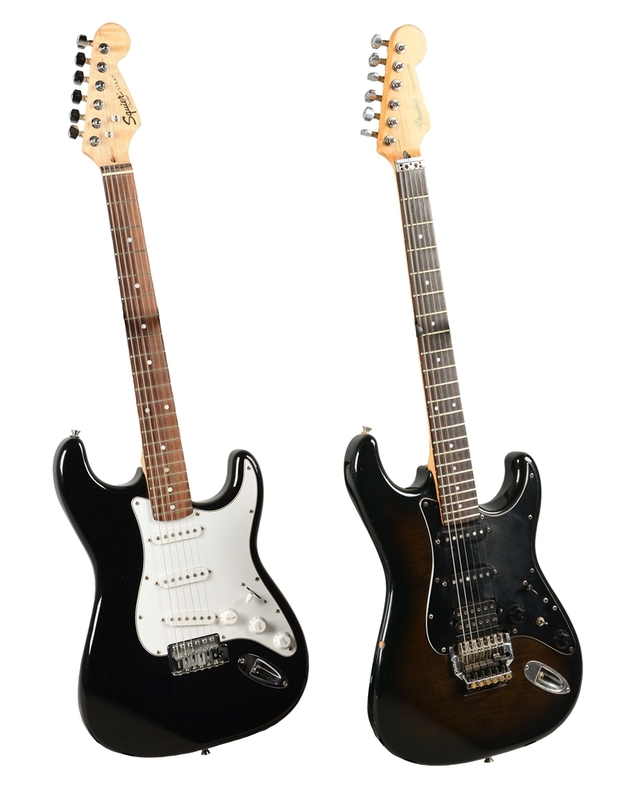 Lot #107: Lot Of 2: Fender Electric Guitars. 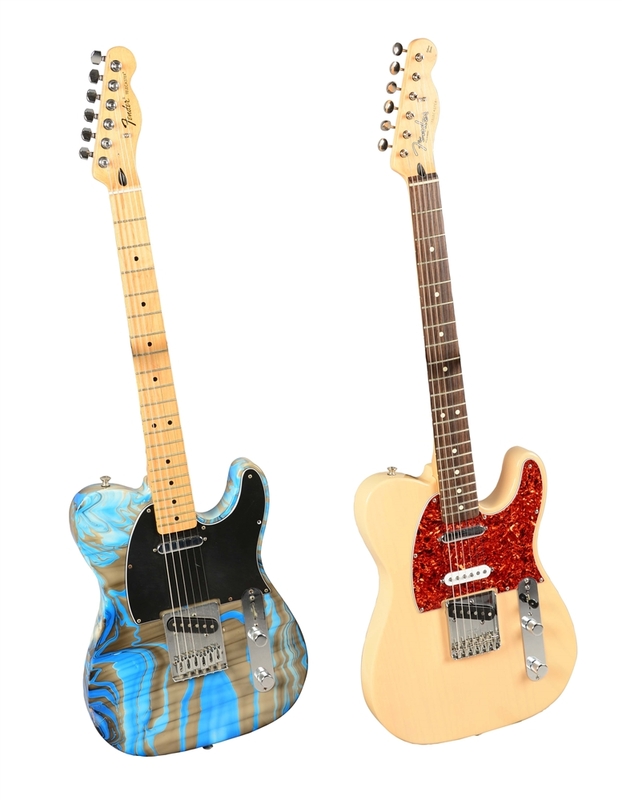 Lot #108: Lot Of 2: Electric Guitars. 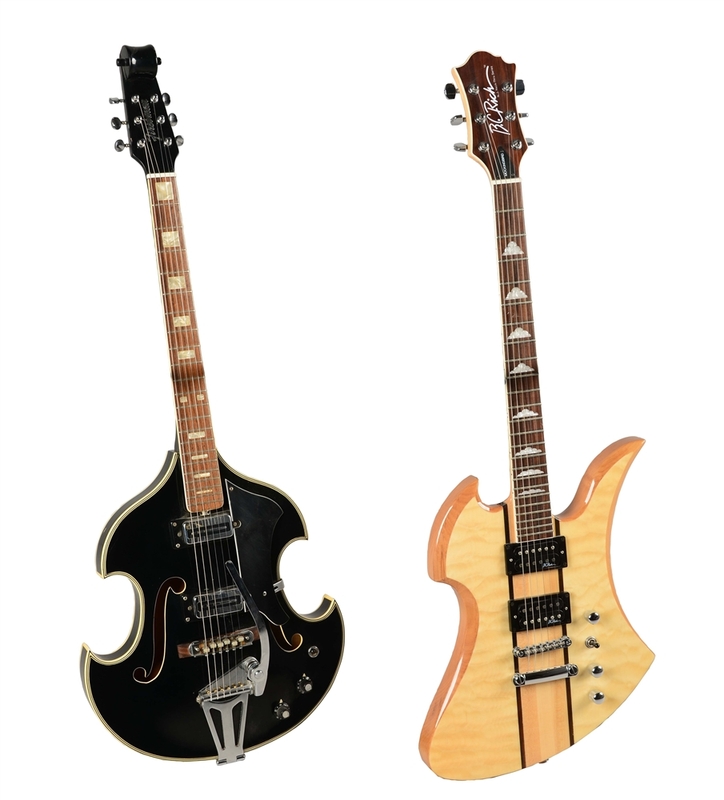 Lot #113: Lot Of 2: Hollow Body Electric Guitars. 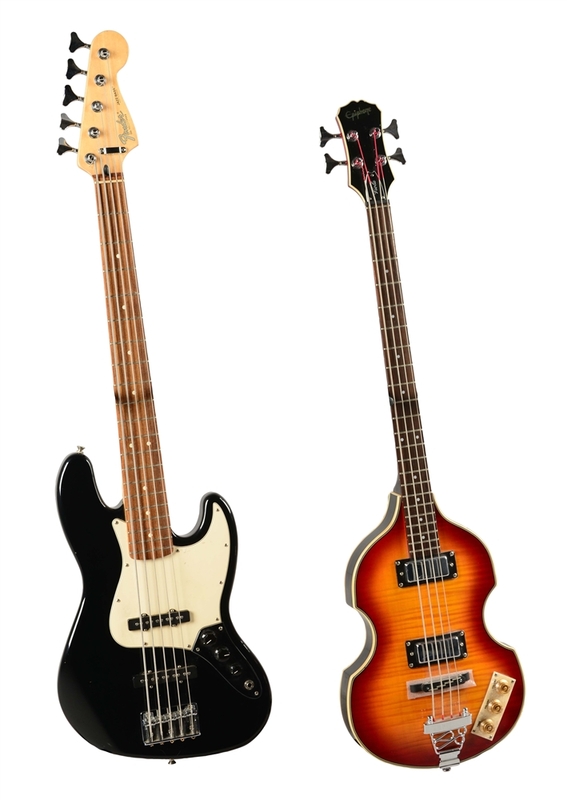 Lot #115: Lot Of 2: Electric Bass Guitars. 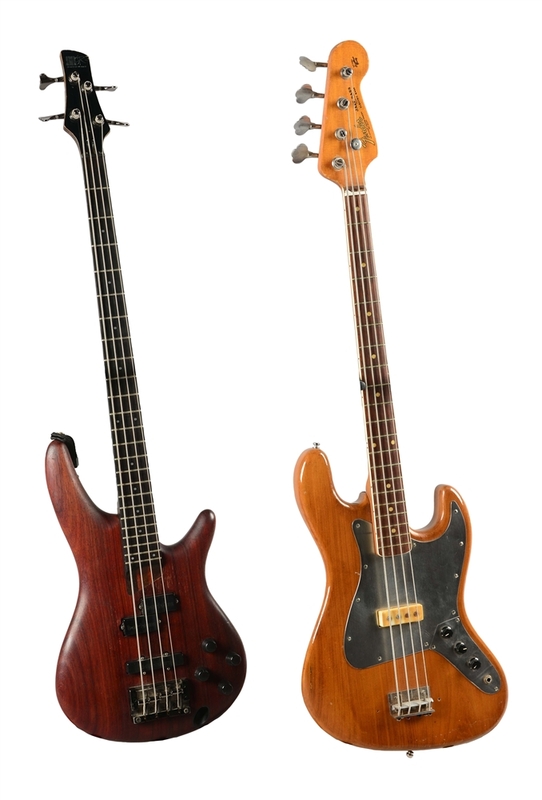 Lot #117: Lot Of 2: Fender And Ibanez Bass Guitars. Lot #118: Lot Of 2: Firstman And B.C. Rich Electric Guitars. Lot #122: C.F. Martin & Co. Model 00-17 Entry Level Acoustic Guitar. 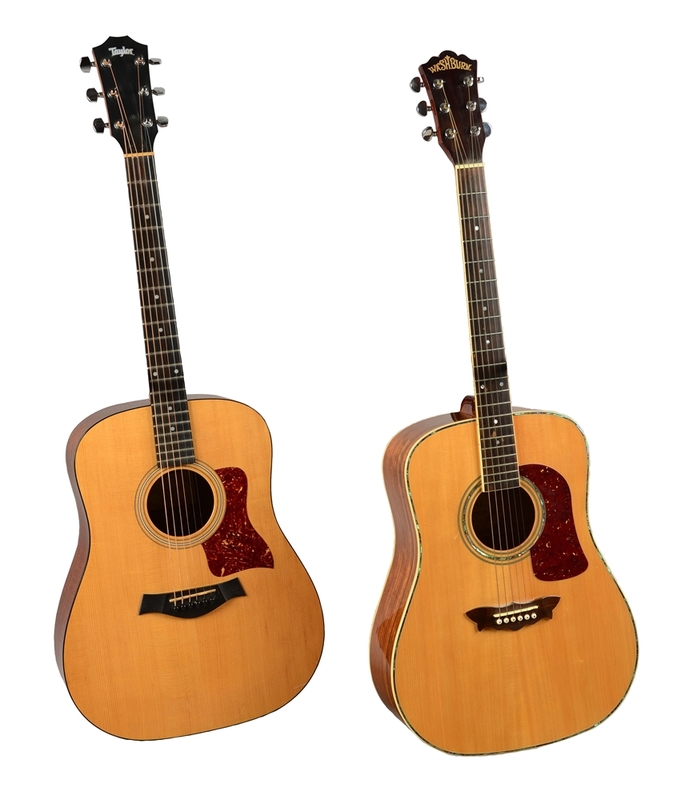 Lot #124: Lot Of 2: Washburn And Taylor Acoustic Guitars. 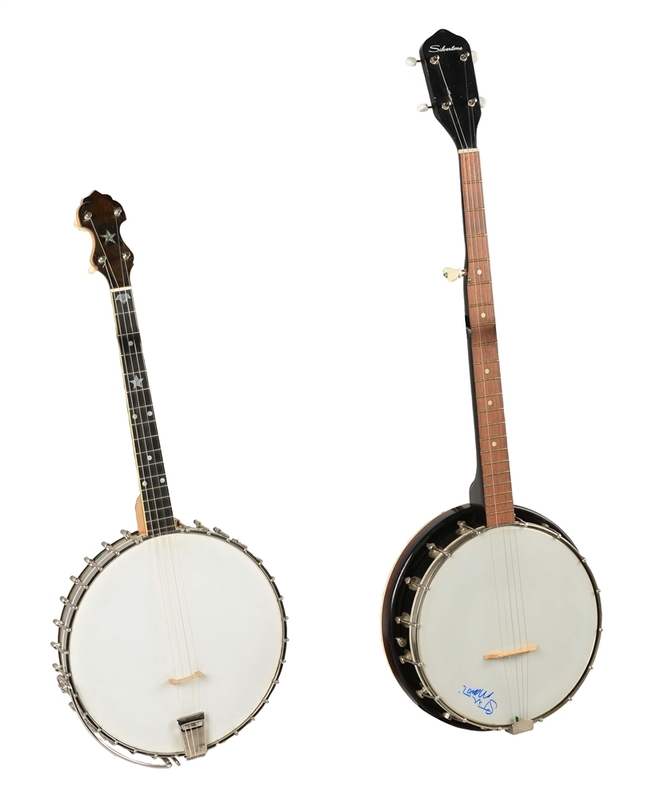 Lot #127: Lot Of 2: Banjos. 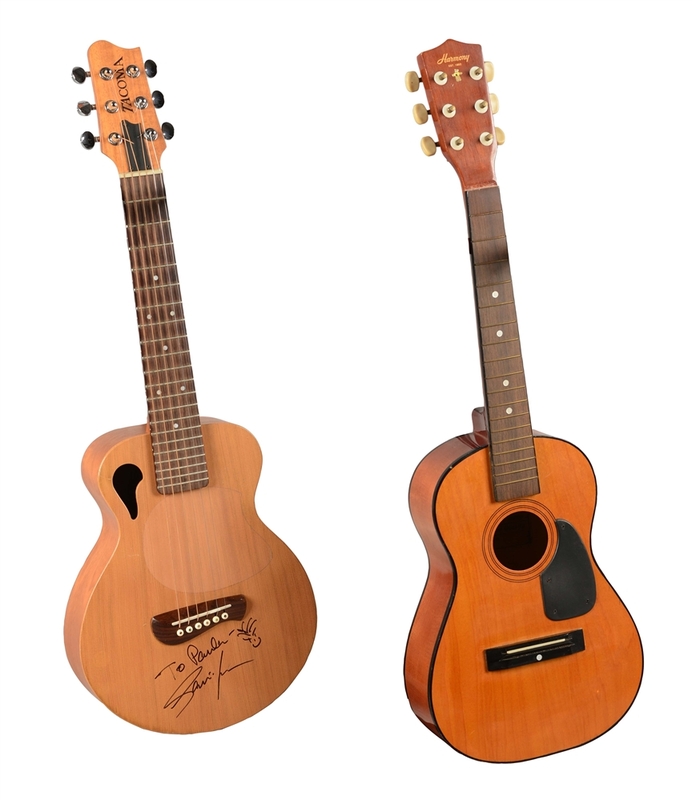 Lot #128: Lot Of 2: Youth-Size Acoustic Guitars. Lot #129: Red Schon Jackson Model Electric Guitar.